Nearly 37% of patients with hypoventilation were diagnosed with uncontrolled hypothyroidism. Patients with hypothyroidism and obesity are more likely to experience lower oxygen saturation during sleep, according to research presented at SLEEP 2017, held June 3-7, 2017 in Boston, Massachusetts. Researchers from the University of Texas Health Science Center and McGovern Medical School in Houston, Texas, conducted a retrospective study of patients with hypothyroidism and obesity undergoing nocturnal polysomnography (NPSG) to determine the relationship between hypothyroidism and alveolar hypoventilation. Researchers collected data on 53 patients (18 with and 35 without alveolar hypoventilation; median age: 58; median body mass index (BMI): 37.8 kg/m2; 66% women) between November 2015 and October 2016. Variables included end-tidal partial pressure of carbon monoxide (pCO2) (PetCO2), peak CO2, percentage of total sleep time with PetCO2>50 torr (pCO2>50), oxygen saturation (SpO2) nadir, and thyroid stimulating hormone (TSH), among others. Nearly 37% of patients with hypoventilation were diagnosed with uncontrolled hypothyroidism (vs 9% without hypoventilation); these patients were also more likely to present with hypertension, heart failure, depression, and diabetes (P =.004 for diabetes). 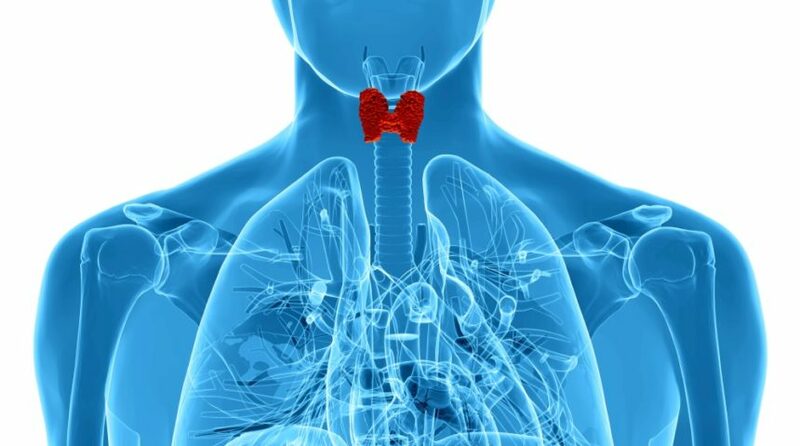 Patients with hypothyroidism and alveolar hypoventilation were significantly associated with higher apnea-hypopnea index (AHI) scores (40 vs 18.6; P =.038); SpO2 nadir (79% vs 86%; P =.018); average sleep SpO2 (92% vs 95%; P =.0076); TSH (2.7 vs 1.28; P =.03); peak CO2 (59.5 vs 50; P =.0001); and pCO2>50 (57% vs 0%; P =.0001). “Adult [patients with obesity and hypothyroidism] with alveolar hypoventilation have lower average sleep oxygen saturation, lower oxygen saturation nadir, and higher AHI compared to those without hypoventilation,” the researchers concluded. Chowdhury A, Sargsyan L, Mathew R, Majid R, Castriotta RJ. Analysis of sleep disordered breathing and alveolar hypoventilation among obese hypothyroid patients undergoing nocturnal polysomnography. Abstract 1022. Presented at: SLEEP 2017; June 3-7, 2017; Boston, Massachusetts.